Enjoy your music! Just make sure the volume is not too loud. Hearing loss is an unfortunate reality for many people, but not all types of hearing loss are unavoidable. In fact, noise-induced hearing loss is 100% preventable! An estimated 26 million Americans suffer from noise-induced hearing loss that is totally preventable. To keep yourself from becoming a victim of noise-induced hearing loss, follow these steps. 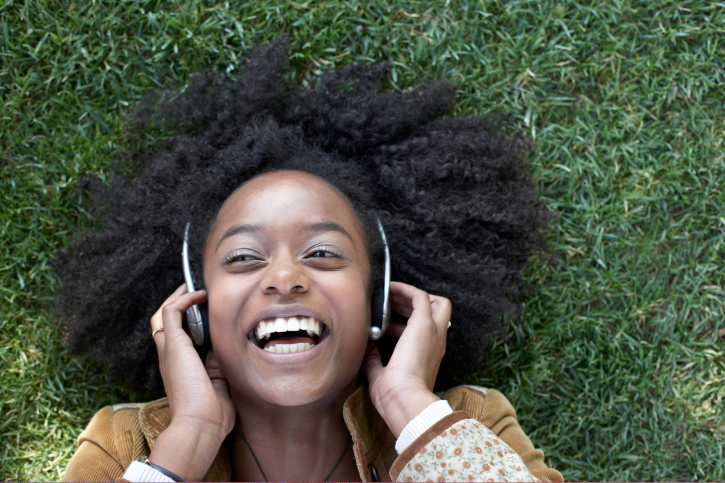 Listening to music is good for your health because it can calm your nerves and reduce stress. However, listening with the volume too loud can cause bigger health problems down the road. It’s a good idea to follow the 60/60 rule: listen at 60% volume for no longer than 60 minutes. You can also invest in a good pair of headphones as opposed to earbuds. Headphones provide a better sound quality at lower volumes. You may regularly jog, swim, or ride bike as a way of keeping your body physically fit and decreasing your risk for high cholesterol and heart disease. But did you know that exercising is good for your ears as well? Aerobic exercise improves your blood flow throughout your ears. This improves your hearing and puts you at a decreased risk of experiencing noise-induced hearing loss. It is ill-advised to use Q tips to clean your ears because one errant slip of the hand can result in damage to the ear drum. Rather than cleaning too deep, try using a dampened towel to wipe around the outside of the ear canal. You also don’t want to clean your ears too often; a certain amount of wax is necessary for stopping dust and other harmful particles from entering the ear canal. This entry was posted on Friday, March 11th, 2016 at 12:57 pm. Both comments and pings are currently closed.